Walking along West 67th Street and Detroit Avenue on an autumn night the Gordon Square Arts District is alive with the sounds of the Near West Theatre. Since 2015 this Cleveland institution has inhabited Gordon Square with the noisy vitality of a community theater. It's the vision of executive director Stephanie Morrison Hrbek. 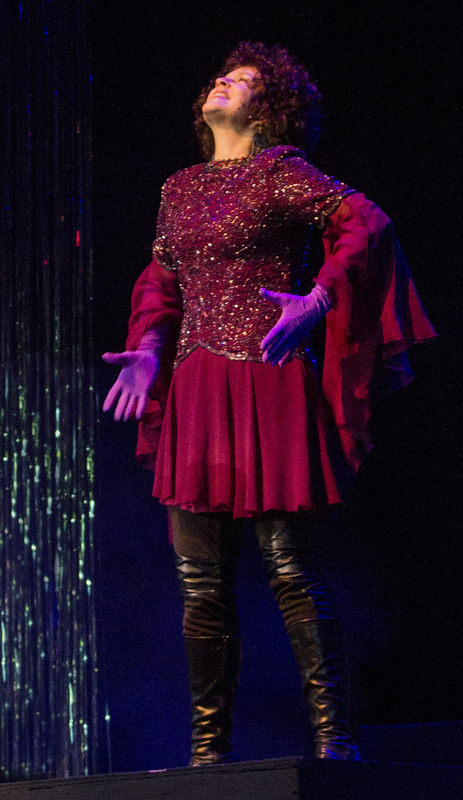 For four decades Morrison Hrbek has been a guiding light with her unbridled enthusiasm and passion for the stage. When she co-founded the theater inside Ohio City's St. Patrick's church in 1978, Stephanie wanted Near West Theatre to be about building the character and lifting the spirit of this urban community, especially its children. "The kids are not just doing theater. They're really understanding who they are, coming into contact with people different from themselves. That morsel has really grown exponentially," Morrison Hrbek said. While productions of musicals like Bye Bye Birdie and Godspell were well received by the community, it was a challenge staging shows on the second floor of St. Patrick's. "The founding of [St. Patrick's] was to be a community center and there was a stage with a proscenium. We just kind of blew it out and made it bigger and did really huge, amazing things even though it was inaccessible [to wheelchairs] and there was no air conditioning," she said. Now Near West can be found in the heart of the Gordon Square Arts District as one of the district's three anchor institutions along with the Capitol Theater and Cleveland Public Theatre. This higher profile location has meant exposure to a broader audience and access to more children to join the productions. "There's still a lot of kids who have no idea that this could be a really dynamic, exciting place to find a home or a safe place," she said. This Saturday the Near West Theatre community says thank you to Stephanie Morrison Hrbek with a free community celebration, as she prepares to step down as executive director later this month.